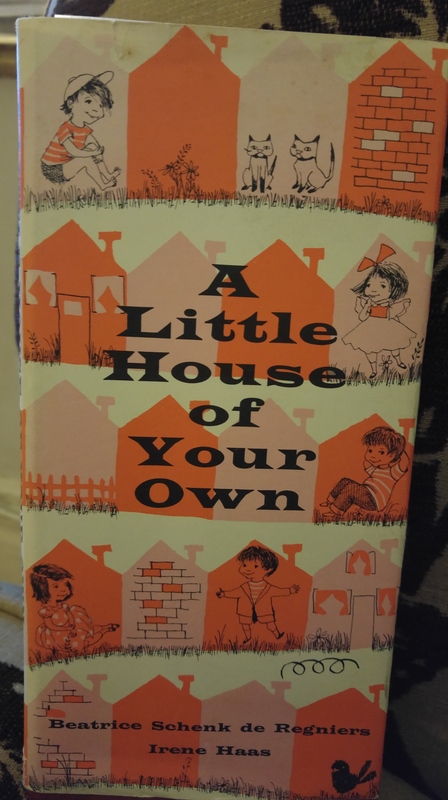 While browsing in a local charity shop recently, I found a vintage child’s book called ‘A Little House of Your Own’. It was first published in 1957 and is a children’s guide to den building and why it’s such a great thing to do. I loved den building when I was a kid – in my house I was allowed to use dining chairs, blankets, table cloths and boxes. I remember the delight in building a cosy hideaway which I could fill with toys and play in, sometimes with friends or my cousin. We moved to Somerset from London when I was nine. This brought new opportunities for play. I was allowed to roam the local countryside really quite frequently by myself or with friends and with my dog. We would go to the local woods and build dens, or create little dens in derelict barns and outhouses. We’d take picnics and flasks of hot chocolate and set up camp for the day. Of course these days, children don’t necessarily have the same freedom that my generation did. Through the course of some work I was doing a few years back, I was involved with some organisations who were initiating the concept of ‘risky play’ or rather, re-introducing the concept of play with risk. I remember being shocked by some research which had been undertaken by Barnardos, which showed that the average distance a child will play away from a parent or supervising adult in today’s society is 50 feet. Maybe as far as the end of the average garden or next door neighbour’s front door. When I was a child, I could roam for miles quite liberally. 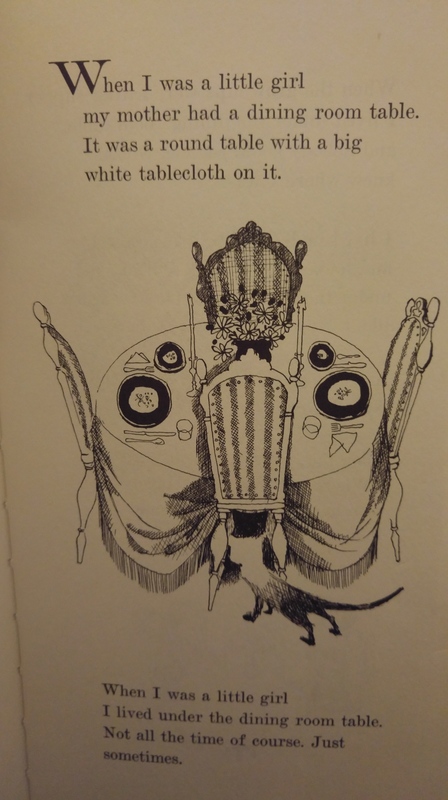 As long as I had a watch and it was agreed that I would be back at a certain time for lunch or tea, I’d go as far as my little legs would carry me. As it happens, this meant I set my own geographical play range. I was interested in certain spots around our village which gave the best opportunities for play. The local woods and hill, corn fields, barns, orchards and the lane by the side of our house. It was all probably within a square mile. For my friends and I, play time during those lovely, langourous days was fuelled freely by our imaginations and fantasy worlds. We were the original Harry Potters and Hermione Grangers, we went to Hogwarts, we were spies, pirates, the Famous Five, princesses, we rode imaginary horses and escaped from imaginary villains, ghosts and monsters. We climbed trees, fell over, got grubby, slid down banks, got stung by wasps, cut our hands on bailer twine and barbed wire, ripped our clothes and somehow never, ever needed the toilet. I don’t recall ever needing to go for a wee behind a hedge or tree! We knew who we should and shouldn’t speak to, we didn’t approach strangers and we knew what to do if strangers approached us. We kept an eye on the weather and had contingencies for rain and thunder storms. We basically looked after ourselves. The book I bought in the charity shop really reminded me of the importance of play and escapism. I remember when my daughter was young, about ten, and we were staying with my parents who live in a small, quiet and beautiful Welsh village. Opposite their house, and clearly visible from many windows, is a wonderful field bordered by a shallow and narrow river – it’s more like a very big stream really. I was telling my daughter that she could go outside and play and that if she didn’t want me to go with her, she could go down to the field and do her own thing or find some of her friends in the village to go and play with over there. I then remember being really quite stunned at my Dad completely freaking out over this and tearing strips off me for even suggesting it. The field has a public footpath and ‘God knows who might be over there’ was the response I had. From the same man who had given me the freedom to roam as a child. I realised how much has changed in the past 20-30 years. Our society has become governed by fear. Our fear of the potential harm which might happen to our children seems to completely override the benefits of free play experiences and the life lessons they bring. News reports on paedophiles, child killers and drug related crime are so frequent now that it almost feels as though these crimes were never committed in the 70’s. But of course they were and it was probably just as prevalent but not reported on so widely. I’m not so sure that instances of crime against children has vastly increased, but it’s just that the media have developed more ways of bringing it to our attention. So my poor old Dad who was in fact a policemen in the 70’s and so knows very well what horrors are out there, is now more fearful about our society than ever, because of the frequency and intensity of the media reporting. But anyway. Noone can berate parents for wanting to protect their children, what a thought! But making opportunities for that carefree, free and maybe everso-slightly risky play might be worth some thought. Or even just remembering the thrill of building that den and upping the stash of old blankets and curtains…..